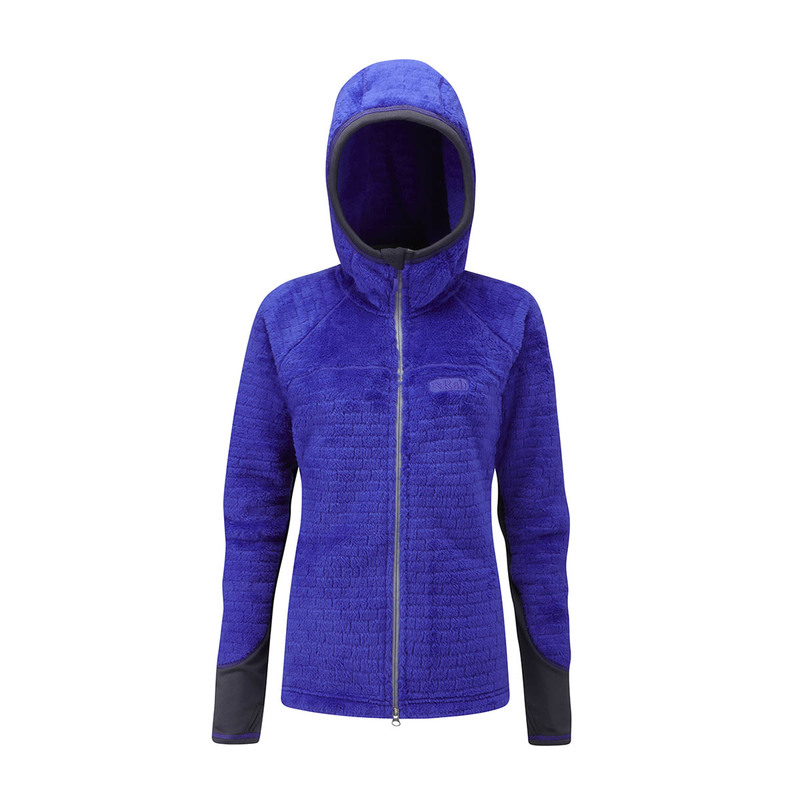 The Rab Catalyst Women’s is a breathable and hydrophobic mid-layer with increased mobility for technical cold weather climbing and mountaineering. For uninhibited movement with added resistance, the Rab Catalyst Mid-Layer Women’s uses Polartec® Power Stretch® panels in the areas most prone to stretch and abrasions, and its Polartec®High Loft™ insulation ensures breathability and moisture-repellency. A comfortable and temperature-managing mid-layer. Hydrophobic, quick-drying, breathable, and durable. Repels moisture and reduces absorbency ensuring it remains lightweight and breathable, with an open-mesh stitching that regulates airflow and breathability during high exertion and allows the fabric to retain its lofted form, even after heavy use. Retains warmth with uninhibited movement and agility. Outer surface has a low-friction finish that increases abrasion-resistance, with a next-to-skin layer that stays dry, breathable and comfortable by continuously transferring moisture vapour for rapid evaporation, ideal for aerobic mountaineering and climbing.